Leading Manufacturer of eddy current separator, electrostatic separator, gravity jigging separator and mineral jig separator from Visakhapatnam. 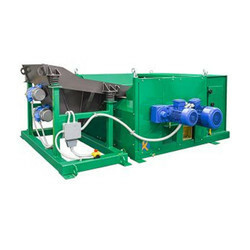 Eddy current separator is an effective method for non-ferrous metal recovery. 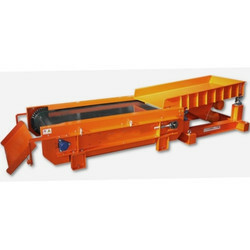 It has a good separation effect and strong adaptability, reliable mechanical structure, structure, light weight, strong repulsive force (adjustable), high separation efficiency, and the advantages of large quantity, can make the separated some non-ferrous metals from electronic waste, in the electronic waste recycling production line is mainly used for sorting out from the mixed materials of copper and aluminum and other non-ferrous metal and can also be used in the field of environmental protection, especially in the regeneration of non-ferrous metals industry application. It is mainly used for household waste, industrial waste, industrial waste slag, electronic appliances waste, glass broken materials, boiler ashes, scrap car slice, such as copper, aluminum, tin, lead, stainless steel and other kinds of weak magnetic conductor materials, non-magnetic conductor materials, non-ferrous metals and other materials in the industry of non-ferrous metals processing. 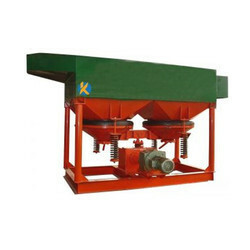 Raw materials are fed evenly to the rotating drum connected to the earth ground. The raw materials then pass the electrostatic corona electrode to electric field to be charged. After electro charged, loose their charge based on their conductivity. Good conductive material separate from the drum quickly, while poor conductive materials remain attached to the drum’s surface until rubber scrapers peel it off. Multiple stacks of separators will increase the effectiveness. In a roller separator, the material is fed onto a roller electrode and directed past a counter-electrode. The non-conductive material is not charged by the counter electrode, but rather only polarised, creating weak adhesive forces which draw this material to the roller electrode. Conducting material transmits its charge to the roller electrode, then becomes recharged and is repelled by the roller electrode and drawn to the counterelectrode. Separating blades divide the sorted material into a conducting and a non-conducting product (see figure on opposite page). In a plate separator, the feed must be triboelectrically charged prior to separation. These electrostatically charged particles fall through the gap of a capacitor field between two electrode plates and are differentially deflected by the electric field, depending on the particle material. In a high-tension separator, the feed is charged by a corona electrode. Through the rotation of the roller out of the sphere of influence of the corona discharge, the moving conductor material immediately loses its charge; due to the centrifugal force of the roller and the gravitation, these particles are propelled away from the roller, while the nonconductors continue to adhere to the roller and fall off later. For the separation of heavy-mineral pre-concentrates, for example zircon, monacite, rutile, columbite, tontalite, scheelite, cassiterite, etc. Processing of potassium salts, for example with sylvanite, carnellite, kieserite, etc. 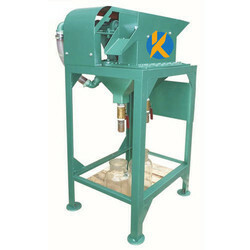 Gravity Jigging Separator machine belongs to gravity-based equipments, which can separate mineral based on differing of specific gravity. jig is mainly consist of three parts: main frame, driving set and jigging chamber.It widely used in gravity concentration of tin, tungsten, placer gold, hematite ore, manganese, titanium, antimony, lead,tantalum, niobium and other minerals. This is a very simple machine works on the principle of hindered settling. This is particularly used to remove light material from the heavy one. The Mineral Jig has a single Hutch compartment and a reversible screen compartment. The rotating water valve is timed to admit water only on the plunger upstroke. An adjustable eccentric mechanism is used for varying the stroke of rubber diaphragm. The upper trash screen consists of a four mesh woven wire cloth. Two lower wedge bar screens are also furnished. The Jig is mounted on a steel stand which is sufficiently at higher level to collect hutch product.